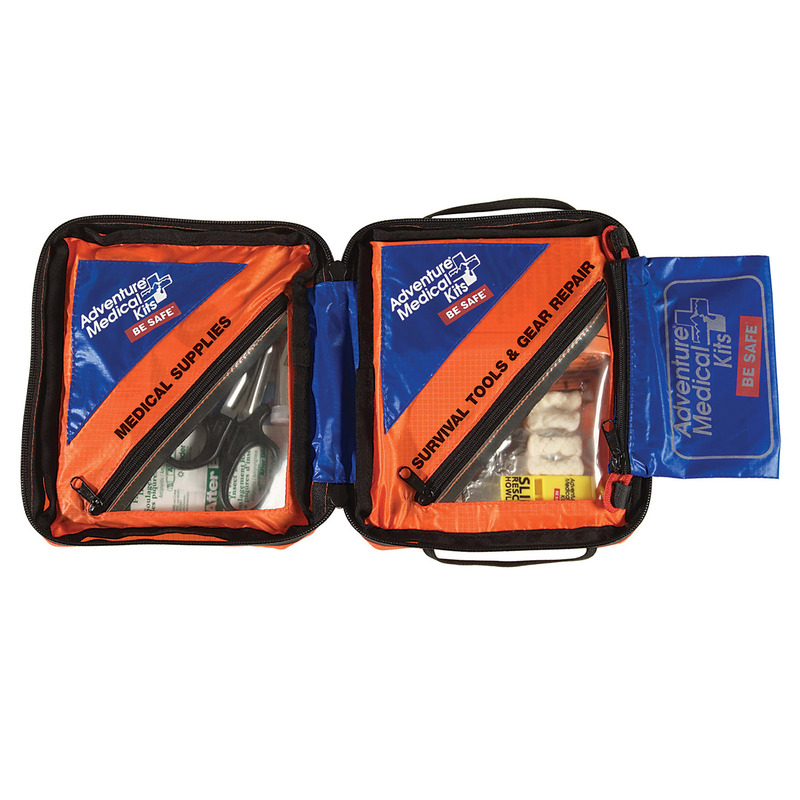 The Hybrid 3 Kit combines medical supplies, survival tools and gear repair items into one convenient package. 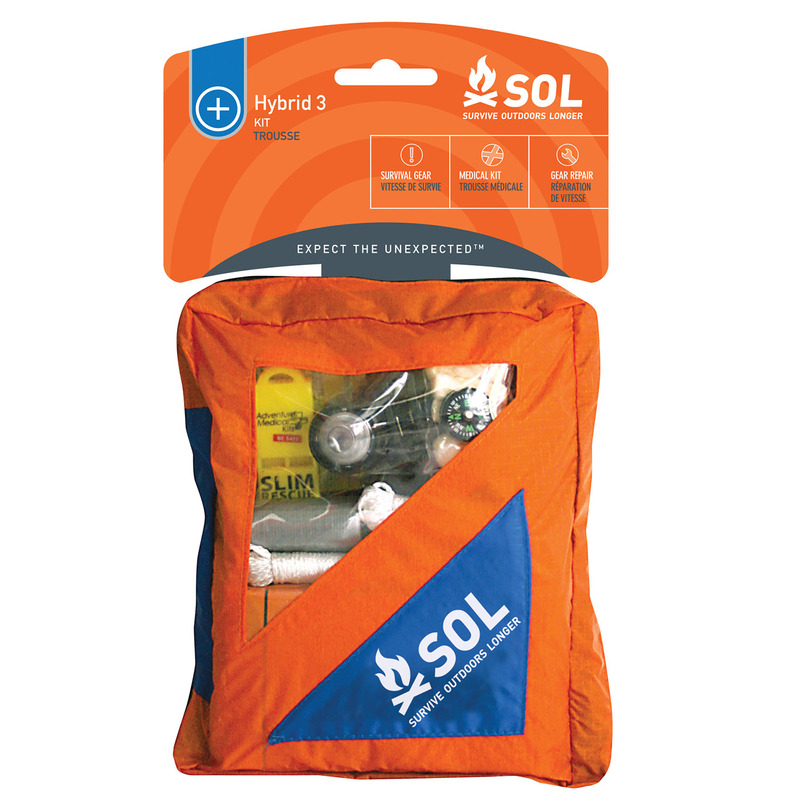 An integrated solution for all aspects of outdoor safety, this 3-in-1 kit features an ultra-light nylon organizer bag with detachable pouch for short trips away from camp. 7" x 6" x 2½"
2 - Dressing, Gauze, Sterile, 3" x 3", Pkg./2 2 - Aluminum Foil, Heavy Duty, 3 Sq. Ft.
1 - Gloves, Nitrile (Pair) with Hand Wipe 1 - SOL Survival Blanket 96" x 60"